A farmer has expressed his frustrations after a man convicted of stealing a £45,000 tractor during a raid on his farm avoided jail. Scott Johnston, 23, escaped a jail term despite pleading guilty to the theft of a New Holland tractor on August 11, 2016 from David Alexander’s farm in Gillygooley. Judge Michael Ranaghan imposed a six-month prison sentence, suspended for two years, after hearing from Johnston’s defence counsel. The tractor, which was recovered after a tip off to the Alexander family following a viral social media appeal, was stolen during a raid on the farm. A Nissan Navara pick-up and a trailer filled with various tools, fuel and items of equipment, worth up to £2,000, were also taken. 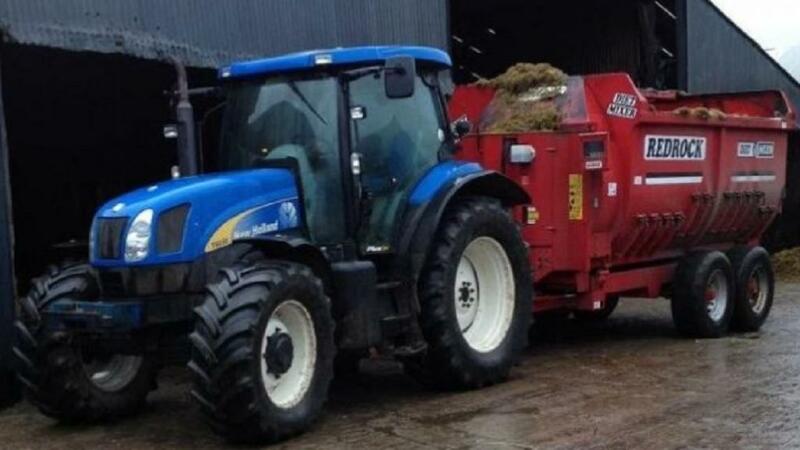 Omagh Magistrates Court heard the blue tractor had been spotted on the A5, some hours after it was reported stolen. The vehicle was followed to nearby Rock Road. The tools and fuel have never been recovered. However, the Nissan Navara was later found after being crashed in Omagh. The vehicle has been ’wrecked’ and was declared a ’write-off’ by the insurance company. Brian Harkin, 37, was given 80 hours of community service after pleading guilty to stealing Mr Alexander’s Nissan Navara on August 11, 2016. Defence solicitor Michael Fahy recalled his client had been found after his DNA was located on the vehicle’s steering wheel. He claimed Harkin had attempted to assist in starting the vehicle after the clutch was damaged. Mr Fahy said the defendant had been unemployed for a number of years and was unable to re-enter the workplace due to a back injury. The court heard Harkin had informed the Probation Service that his injury could affect his ability to perform community service with a physical element. Judge Ranaghan said he wouldn’t impose a fine in light of Harkin’s circumstances. Reacting to the sentence, David Alexander described the outcome as ’devastating’, reported the Ulster Herald. "Justice is not justice. It was a very stressful time," he said. "At that particular time, things were terrible. "I think it was very lenient. That somebody can come in and do that to you, put you under that much stress - I didn’t get compensated for what I lost.